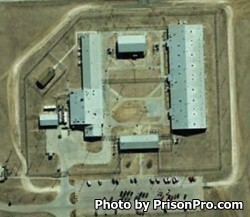 Wheeler State Jail, sometimes referred to as Wheeler Unit, is a minimum security state run jail located in Plainview Texas, part of Hale County. Wheeler State Jail houses a maximum of 576 male offenders who range from short term J1, and J2 commitments, to G1, and G2 long term minimum security offenders. The facility is situated on 601 acres and is co-located with the Formby State Jail. These two facilities work in cooperation with one another in many of the agricultural operations that employ offenders including a unit garden, caring for security horses, and in contract farming. Inmate's can also be assigned work detail that includes facility maintenance. Wheeler State Jail provides offenders with educational opportunities that include literacy, adult basic education, and GED classes. Additional courses include the CHANGES program, which is a pre-release program that helps prepare inmates for an upcoming parole or release date. Vocational programs at Wheeler State Jail include business computer information systems, and various job skills/employment classes. Some offenders at Wheeler State Jail will be selected to provide a supervised labor force to the Texas Department of Parks and Wildlife and local government agencies. Inmates at Wheeler State Jail are allowed visitors on Saturdays and Sundays from 8am to 5pm. All visitors must be on the inmate's approved visitation list in order to visit. Visits are a maximum of two hours in duration, however if you arrive anytime after 3pm you will not have a full two hour visit. Visitors are allowed to bring up to twenty dollars in quarters with them in a small clear plastic bag to purchase items from the vending machines (paper currency is not allowed). Anyone who is traveling over 300 miles to visit Wheeler State Jail may qualify for a special visit which is four hours in duration, contact the Warden's office for more details.